Grief is a journey with no end. You don’t wake up one day with everything returned to the way it was, as if your loved one didn’t die. Beyond a journey, grief is a mission - to find joy, to emerge from the black hole of sadness, to remember the good, to celebrate life. 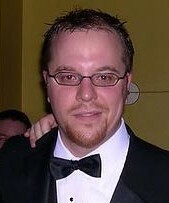 When our son Jonathan died in January 2008, the best thing we did was seek professional counseling. To his friends and especially to his former teammates, Jonathan is known as 17, the number he wore on virtually every team he played on, in two sports, in two provinces and two countries. He was a good hockey player. He was a great lacrosse player who got his degree on a scholarship at Limestone College in South Carolina. Our counselor said, every time you see the number 17, it’s Jonathan saying hello. I see 17 every day and I always say hi back. The counselor also said, don’t stop doing the things you shared with him just because he’s no longer here. For Terrie that means celebrating Jonathan at Christmas and on his birthday. It means cooking the things he loved to eat and naming certain dishes after him. Jonathan was a good cook. His Mom taught him many things over the phone and whenever we visited Baltimore, the two of them would hit the kitchen. Jonathan figured out the ingredients for his favourite chicken wings from a Baltimore bar called Kislings. In our family, that recipe is now called Jonathan’s Wings. For me, it’s sports and memorabilia collecting. Jonathan caught the bug from guess who. We often discussed the autographs we’d go after. As my career in radio has provided access to so many of the players on our list, in multiple sports, I’d get a photo or a card signed for him and one for me whenever possible. When Jonathan was 10, a rookie made the Toronto Maple Leafs. He scored 34 goals that year and chalked up 227 minutes in penalties. Wendel Clark was tough, he could score and he wore #17. He became Jonathan’s favourite player and 17 his favourite number. One of our father/son projects was to get Wendel autographed Leafs jerseys. There was no way we’d go the easy route and buy them on ebay. Several years ago I met Wendel Clark in Saskatoon where he played junior hockey for the Blades. He was a guest on our sports talk show hosted by Drew Remenda on 650 CKOM. He graciously signed some cards and photos and when told about the jersey mission, agreed to sign some numbers for me too. Step one complete. Leafs blue #7’s with Wendel’s autograph. 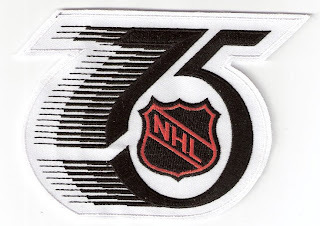 1991-92 was the NHL’s 75th Anniversary. Clark was the Leafs captain that year and the jersey we wanted was the 91-92 home version, white body, blue stripes down the arms, blue numbers on the back, white numbers on the sleeves. Every year since, I have tried to get that jersey. I talked to manufacturers like CCM, the Leafs PR department, the Hockey Hall of Fame, memorabilia dealers and nothing. Then, I recently met Alex Draper. He owns Shutout Sports Collectibles in Kelowna BC. He introduced me to Sean Riley of A. J. Sports World in Toronto. Turns out that particular jersey style is being made again in the retro market. I sent him the autographed number and Sean did the rest. 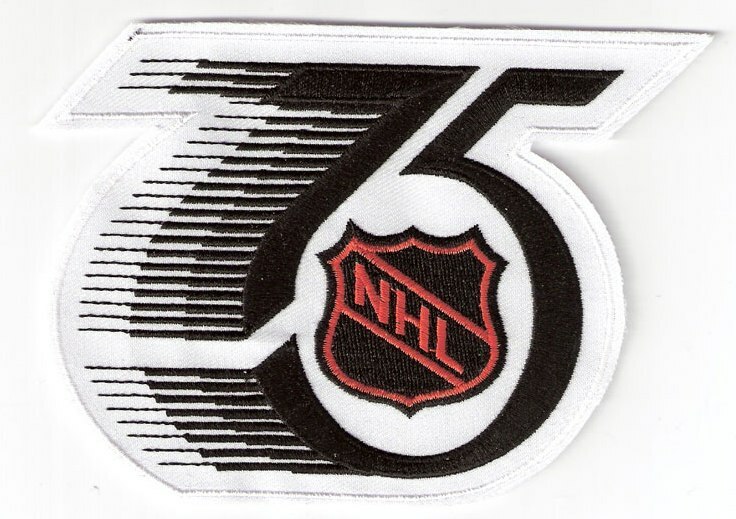 In 1991-92, all teams had a 75th NHL Anniversary patch sewn to the front right of their jerseys. We haven't yet been able to locate one, but several friends are looking for an original, not a reproduction. Here's what it looks like. So, while the Wendel jersey is not yet exactly what we set out to build, it is now in my collection. And, once I find the NHL patch, it'll be sewn onto the front to complete the jersey mission. Had Jonathan lived, it would've been his Christmas present this year. I know how excited he would've been and that makes me one happy Dad. Hug your family and make memories because you never know.